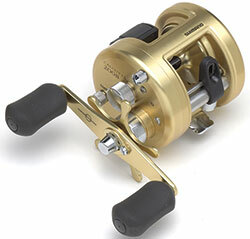 Daiwa's Certate sets the standards for corrosion resistant reels. Two Magseald ball bearingd (One on each side of the drive gear) combined with the Magsealed main shaft and line roller. There are also five corrosion resistant ball bearings (CRBB) to keep Certate reels running smooth, even in the roughest of conditions. Loaded with flagship features, Exsence provides light tackle inshore and bass anglers with everything they need in a featherweight package. The saltwater safe, magnesium HAGANE body offers rigidity and all-day comfort. By combining Shimano's water-repellent coating and our specially designed, water channeling, labyrinth construction, X Protect provides high-level water resistance without sacrificing light gear and rotor rotation. The smoothest most efficient drivetrain in a spinning reel is now even smoother and more efficient with improved durability. Introducing the new Shimano Stella.The new Micro Module II provides a new ideal gear design and gear teeth surface for amazing smoothness and nearly twice the strength of Shimano’s already unmatched gear durability. 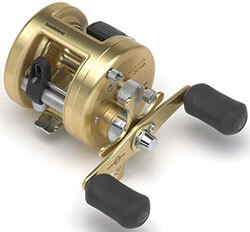 Shimano Stradic Ci4+ Spinning Reels striking good looks, light weight with a solid feel, and an ultra smooth reeling experience combine to win the hears of anglers around the globe. Incorrporating exciting concepts like HAGANE gear, G Free Body, CI4+, X-SHIP, Core Protect, and the totally new Magnumlite Rotor which allows a super light feel when you turn the handle, the new Stradic Ci4+ is built to last. New Magnumlight ROtor is 25% lighter and offers better balance with 22% less intertia. This means reeling is "light" feeling from the first turn. G-Free Body shifts the reel's center of gravity closer to the rod, reducing fatigue and creating a "lighter", more comfortable fee. Sustain is packed with a long list of high-end features which translates to serious performance. From bass to small billfish, Sustain is built with the power and rigidity to handle a wide variety of fishing challenges while maintaining the refinement and light rotation that Sustain is known for.By combining our water-repellent coating and our specially designed, water channeling, labyrinth construction, X Protect provides high-level water resistance without sacrificing light gear and rotor rotation.By utilizing the asymmetrical, super-light, perfectly balanced design of the new Magnumlite Rotor, the Sustain requires very low inertia to start rotating, resulting in an immediate, light, smooth feel. The new Ultegra Series spinning reels include a HAGANE Gear for incredible durability, X-Ship technology for increased smoothness and efficiency, Aero Wrap Oscillation for perfect line winding and longer casting, and Coreprotect for water resistance without a heavy rotation feeling. To the fisherman, these features work together to create a reel that responds quickly and positively in a wide variety of fishing situations. 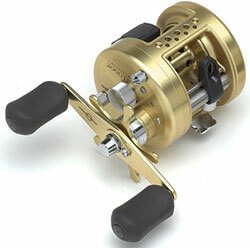 The cold-forged, HAGANE Gear provides unmatched smoothness and durability. The HAGANE Gear is produced by applying nearly 200 tons of pressure to the raw metal. This technology involves no cutting work to forge a high-precision gear with micron accuracy in a single process, and this is unlike any other in the world.